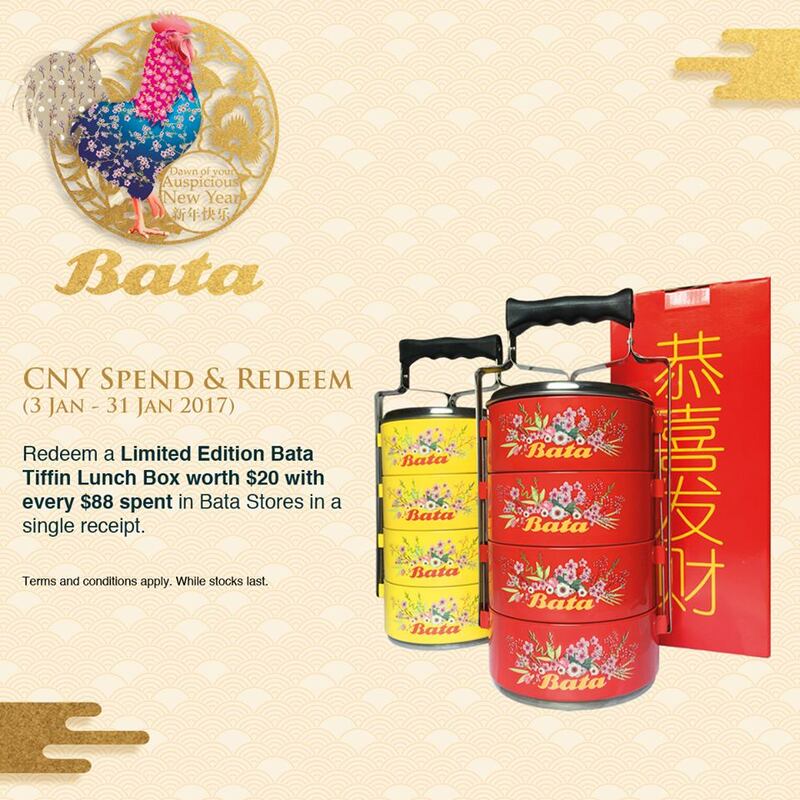 For most B2C brands, Chinese New Year is one of the biggest and most important campaign on the marketing calendar. 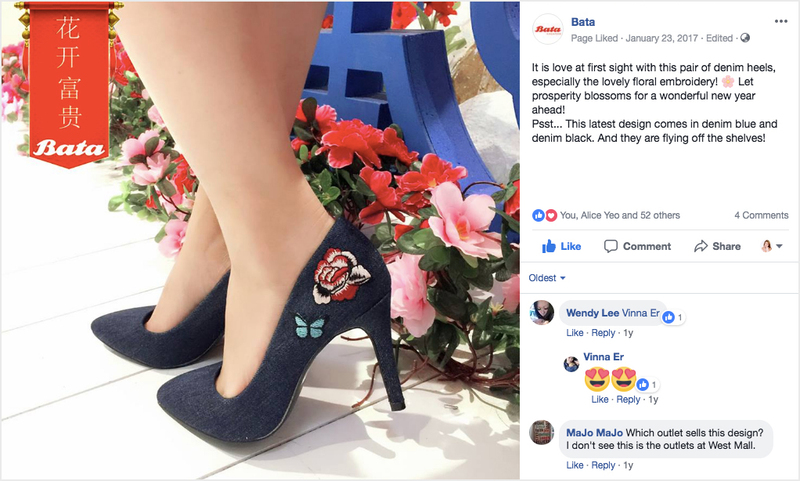 Bata Singapore is a household brand in Singapore, with retail stores islandwide. We came onboard for their brand uplift exercise and have assisted the team with design and digital works for 3 years in a roll. 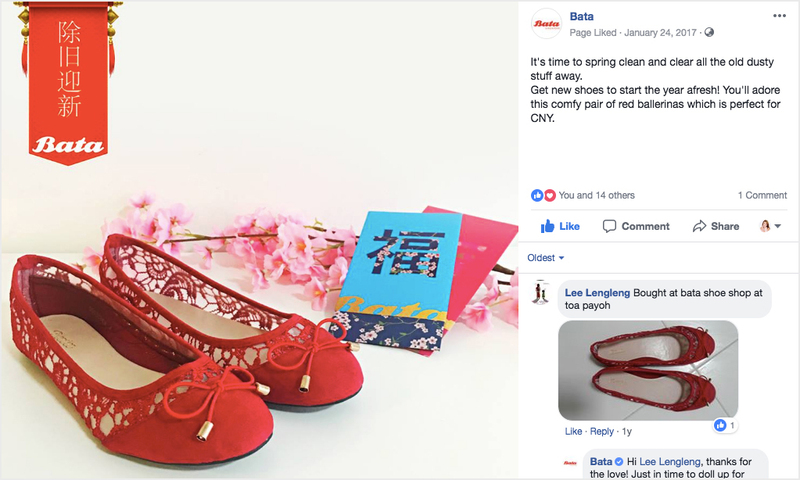 In 2017, the brand decided to game up their CNY campaign with a refreshing appeal. With our understanding of their target customers for both online and offline, we rolled out an integrated campaign with an aim to drive more awareness, gain leads and increase footfall to the stores for sales conversion. No plain rooster this year. To embrace the traditional values of the festival, our auspicious rooster identifier is specially dressed in 4 different fabrics. This design transcends across to transcends across to all campaign collateral, POSM, a custom set of angpows with holder, and in-store display. The campaign is spearheaded with a short and sweet video that resonates deeply with the busy Singaporeans. It is not directly about the shoes. It is to tug heart strings, convey family values and our CNY greetings. But of course, we didn’t forget to sneak in a showcase of our merchandises. Yes. 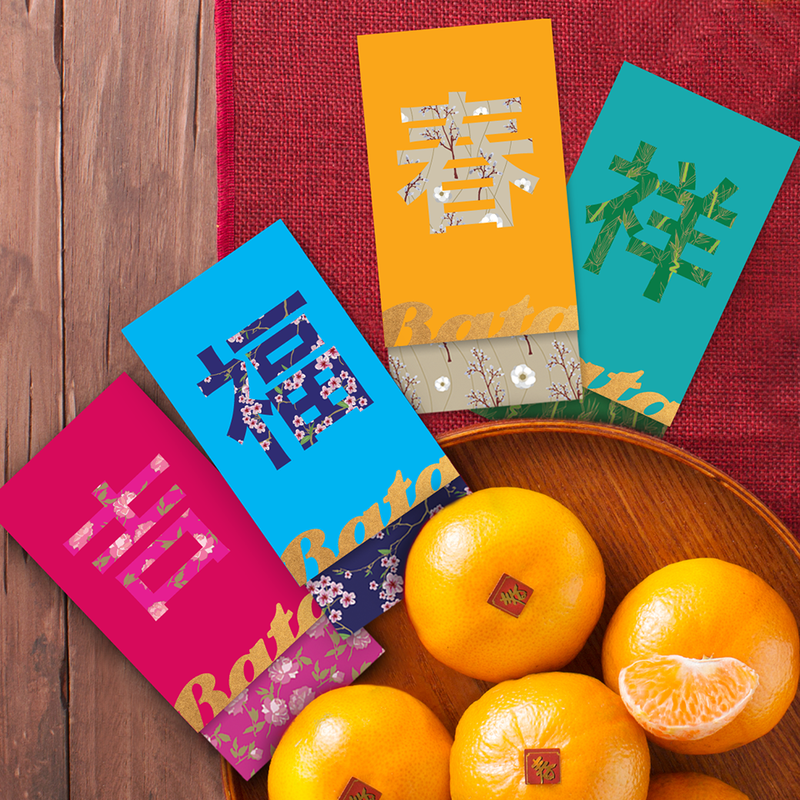 We were involved in the promotion mechanics planning and took care of the design and production of custom-made Gift-With-Purchase Tingkat set and Angpow set. *Redemption rate was 300% faster (as compared to past years' promo) and was fully redeemed in less than 2 weeks! An online contest is designed to go hand in hand with the retail promotional mechanics. This attracts online audience participation, capture leads and drive the traffic to the stores for prize redemptions. 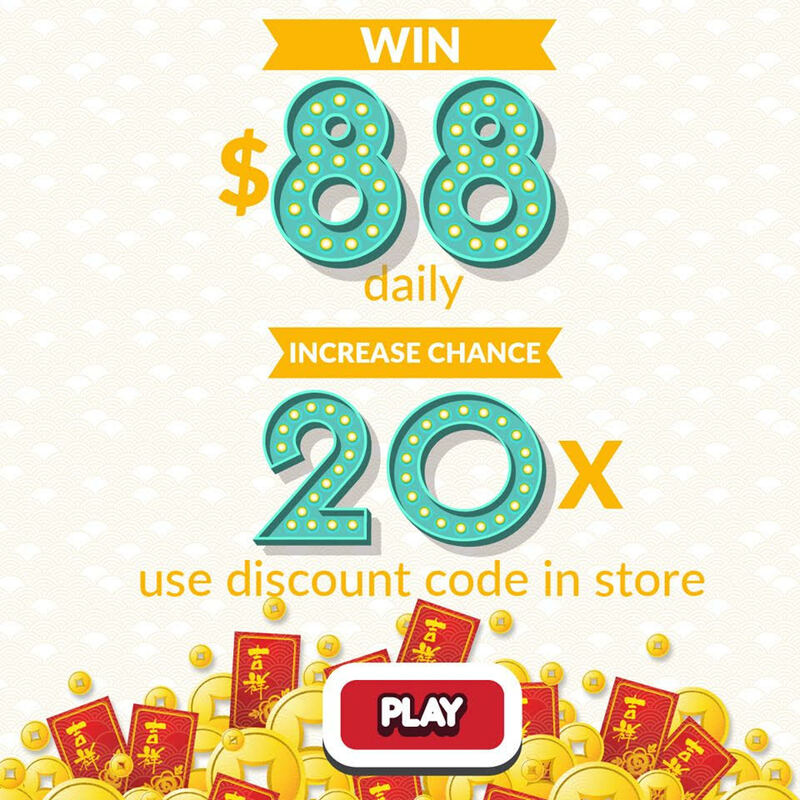 Customers at the stores can play this online game too and do instant prize redemption on the spot. Digital content marketing plays a big part in our communications and engagement strategy. To promote our in-store mechanises, we took styled photographs and fashion OOTDs as social media content. However, they are designed as a series of CNY greetings coupled with the relevant festive visuals. With the consistent effort throughout the campaign period, there is trackable results showing high engagement, traffic and sales conversions. Fans are interacting, enquiring, even buying and sharing their purchase proudly on our FB page.